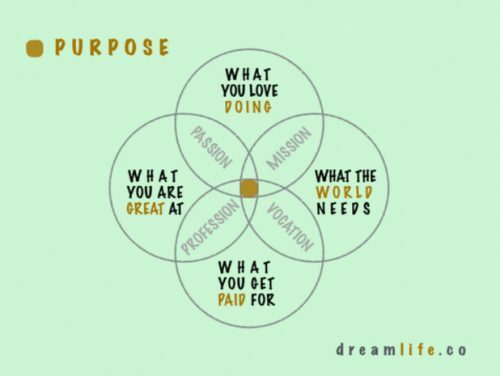 There's a famous Venn diagram on the internet, used in motivational talks and lectures the world over, describing how you know you’ve found your life's purpose. 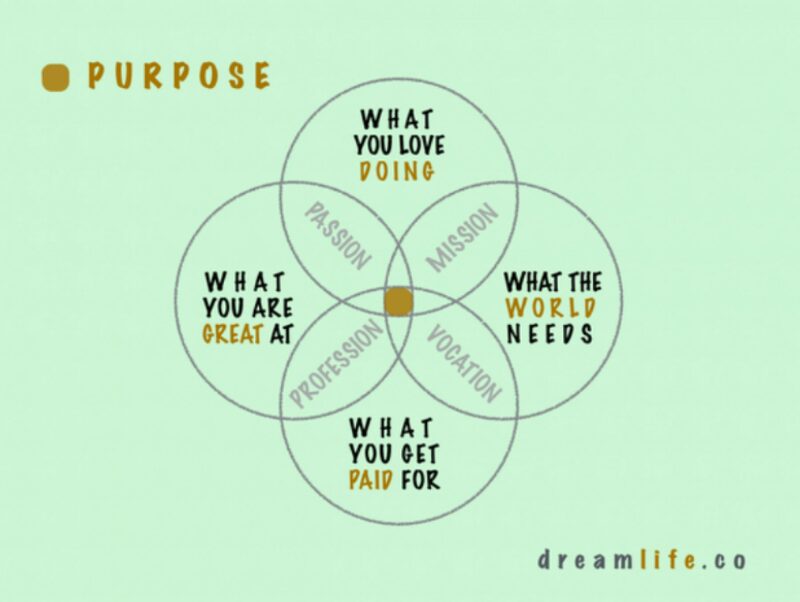 It has four overlapping circles titled "What you love doing", "What the world needs", "What you get paid for", "What you are great at”, and a little dot at the intersection of all four labelled “Purpose”. This is, generally speaking, a useful inspirational image to look at and for assessing where you are in life. But it begs the question, what happens when you eventually reach that central point? The diagram does not account for a critical human factor: the need for change. Change is inevitable, and the human desire for it is irrepressible. Even more importantly, if you don’t embrace change, the world moves on without you. That’s why I left my stable job in the financial industry to join a small startup with a big vision. The risk of changing professions at a time when I was already on the dot in the centre of that diagram was not considered as an afterthought, but factored into a careful calculation that ultimately led to Kinzen. “Adapt or die”, as Billy Beane says in Moneyball. Change for the sake of change is not a frivolous idea, more a conscious act of necessity. And not just for individuals. You don’t have to dig too deep into history to find out how businesses that don’t modernize with the times will fail. The collapse of the record industry in the early 2000s resulted in the loss of countless jobs. Nokia’s regression from being the biggest mobile phone manufacturer in the world in 2001 led to them laying off 1,700 employees in 2009 and selling off their mobile phone division in 2013. Myspace was the biggest social network in the world in 2008, but tried to develop apps exclusively (as opposed to Facebook and Twitter’s inclusive third-party app development policy) and ended up whimpering out of the market in 2011, selling at 7% of the price NewsCorp bought it for back in 2005. The frontier where change can best be understood and embraced is the world of data. My previous experience was in banking - an industry better known for moving at a glacial pace than innovating. But now we’re seeing businesses of all types disrupted, living and dying by their adoption of new software, new ideas, new methodologies, and shifting customer needs. More and more in the 21st century, massive innovations in connectivity and communications mean we have become our own personal shoppers, travel agents, brand identities, bank tellers, educators, DJs, and content curators. The data is telling us how consumer power is growing as a result, and if you can’t get your offering to the user as quickly, simply, and painlessly as possible, they’ll get it from somewhere else. That is why I joined Kinzen. The ability to turn data over to our members is incredibly exciting. The power to control and personalize how we receive our news has become essential at a time when internet toxicity and content overload have become a casual feature of every day. The fact I could contribute to a project I believe the world needs right now mattered to me. The world is changing and it feels good to change with it, and to be at the centre of the Venn diagram again. Join us as a first member! Learn about becoming a patron here, becoming a curator here, and becoming a tester here. We’re just getting started. Kinzen is the news app that puts you in control. Create a daily routine that sharpens your focus and broadens your mind.